Description: Wear your blade and wear it well. Warn everyone who passes by you that you are NOT a person to be trifled with. With one swift move, your sword would be in your hand and your enemy fallen at your feet. Note: Also see Slice of Darkness. 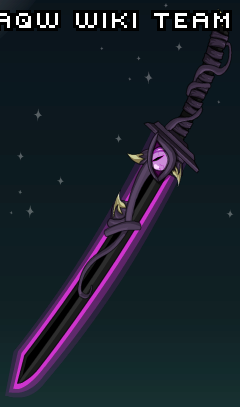 Thanks to AsukaAQW and JT452.